Inspect the greenhouse fans. Look at the fan belts to see if they are cracked or split and, if so, plan to replace them. Same for the wiring. Clean the fan blades, front and back, because even a few ounces of dust can reduce efficiency by as much as 30%. Clean the fan housing and shutters. Lubricate the fan bearings, motors, and shutters and make sure they are operating properly. Look for gaps around fans, shutters, doors, and other openings. Seal any that you find. Air leaks greatly reduce heating efficiency. Test the heating system, using the thermostat. Be sure it's calibrated properly. You may want to have it professionally maintained for greatest efficiency. Inspect the greenhouse glazing for cracks or holes, especially where two pieces of glazing come together, and seal up any spaces. Go outside and cut down any weeds that are growing near fans or shutters. Make sure there are no other obstructions to limit the flow of air in or out of the greenhouse. Plug in the heat mats or germinating chamber and make sure everything is working correctly. For more details on checking equipment, see Maintenance Guide for Greenhouse Ventilation, Evaporative Cooling, Heating Systems. Wash down surfaces as necessary. If you had disease problems last year, pay particular attention to cleanliness. Check under benches for weeds and pull them out because they may harbor pests. Gather your flats and plug trays and inspect them to see if you need new ones. Wash those that you plan to re-use. This University of Massachusetts publication, Cleaning and Disinfecting the Greenhouse, has details about various sanitizing products that can be used on plant contact surfaces, including recommendations for certified-organic production. Sanitize other seed-starting supplies such as tubs where you mix soil, hand tools, hose ends, automatic irrigation systems, soil thermometers, and knives. 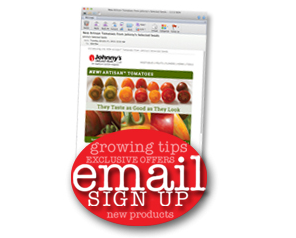 This is a good time to order supplies such as potting mix, fertilizer, and pest controls. Review your records from last year to see how much you purchased, then subtract what is left over to determine how much you used. If you keep good records (or have a great memory), you will know what problems cropped up last year in the greenhouse. Fungus gnats, whiteflies, aphids, and damping off are examples of greenhouse problems you should anticipate. If you purchased products to deal with pests or diseases and have some left over, check the expiration date because some pest controls lose efficacy. RootShield, for example, is a beneficial fungus that helps prevent damping off in the greenhouse, but it needs to be ordered fresh each year. Before you order seeds, take a look at what you have left over from previous years. A few guidelines will help you decide which seeds are still good and which should be discarded. Of primary importance is the way seeds have been stored. Exposure to moisture causes seed viability to decline, so seeds should be stored in a dry place in an airtight, watertight container. Zipper freezer bags, glass jars, plastic containers, and metal boxes can be used if they seal tightly. Buckets with tight lids also work for larger seeds like beans and corn. In humid climates, a desiccant such as silica gel or dry milk powder can be placed in the container to absorb moisture. Seed also should be kept cool, and can even be stored in the refrigerator or freezer. 5 years: most brassicas, beets, tomatoes, eggplant, cucumbers, muskmelons, celery, celeriac, lettuce, endive, chicory. If you are in doubt about the viability of leftover seeds, don't take chances. You can test the germination easily. Moisten a coffee filter or piece of paper towel and place on it a specific number of seeds, such as 10 or 100. Fold the moistened paper over the seeds and put it in a plastic bag in a warm place. Take the paper out and inspect the seeds twice a day, spraying with water as needed to maintain moisture around the seeds. After the usual number of days required to germinate that variety, count to see how many have germinated and calculate the percentage of germination. Compare it to the germination rate on the Johnny's label; if it's close, your seeds are fine to plant. If germination is much lower or slower than expected, order new seeds. Demand often exceeds supply for certain plants and seeds. This is particularly true of leeks, onions, and potatoes, so place your order soon. If you want potatoes in February for early planting or greensprouting, the deadline for ordering is Jan. 15. We've found an insulated carton that will get them to you in top shape, even if it's freezing here in Maine, at your farm, or somewhere in between. Specific varieties are available in 25 lb. increments. Reserve on the website right now, and your credit card won't be charged until your potatoes ship in February. 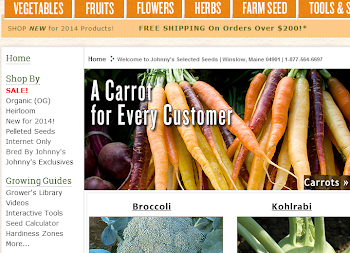 What you think of the new Johnny's site?